March 19th in Wordpress Plugins by Wordpress Jedi . Getting feedback from your visitors is one way to find out which areas you need to work on and how to deliver better content. 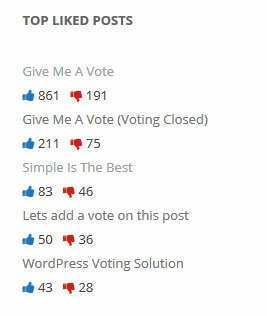 BWL Pro Voting Manager for WordPress is one of many plugins you can use for the job. 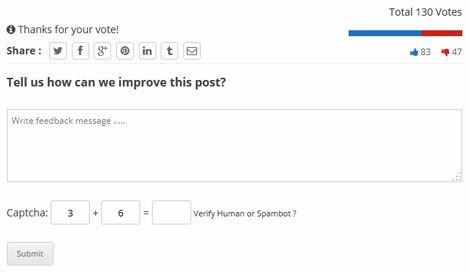 It lets you add a voting section to your posts, products, pages, and galleries. The plugin is plug & play. Simply activate it to get started. The voting panel lets you customize its behavior. A detailed voting report is also available. You get custom widgets to display top liked posts. Want to allow voting during a certain period of time? No problem. BWL Pro lets you filter votes by IP address. You can also set a max number of votes per interval. Want to limit voting to certain roles? That’s also easy to do from the back-end.